Lollapalooza descended upon Chicago for a whirlwind four days. There were hundreds of performances, what felt like hundreds of thousands of people, and that dangerously steamy weather, that held Chicago in its sweaty clutches. While it felt as though the Earth was moving closer to the sun with each passing hour, the sounds of music temporarily eased the discomfort. 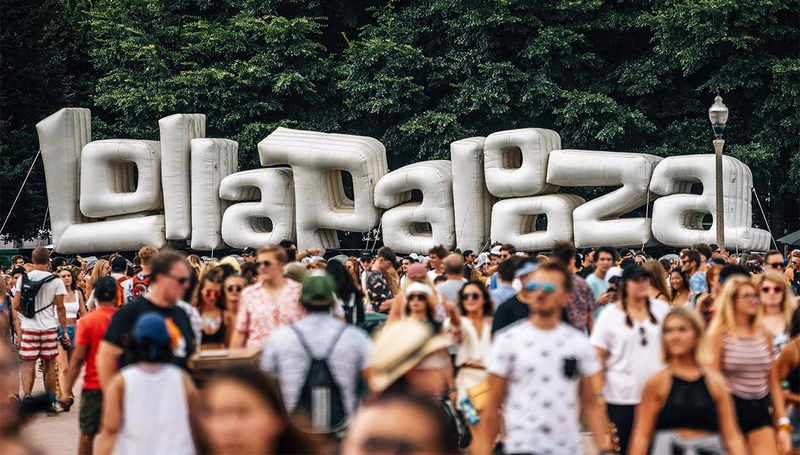 For some artists and bands, the stages of Lollapalooza tend to be a proving ground of sorts: they are playing to the largest crowd in their careers [to date] and sometimes, with only one album or EP in their discography. One of the best things about Lollapalooza is that many performers gain new fans and festival attendees stumble upon talent unaware. While the most-recognized names perform on the main stages and draw the larger crowds [and deservingly so], there are bona fide gems giving stunning performances on the smaller stages. We’ll focus on the best of those. Durand Jones & the Indications: Playing an early set during the hottest time of the day is no easy feat, yet the band made it look and sound effortless. Their soulful and lively set was a welcome alternative to the EDM pulsing through Grant Park. 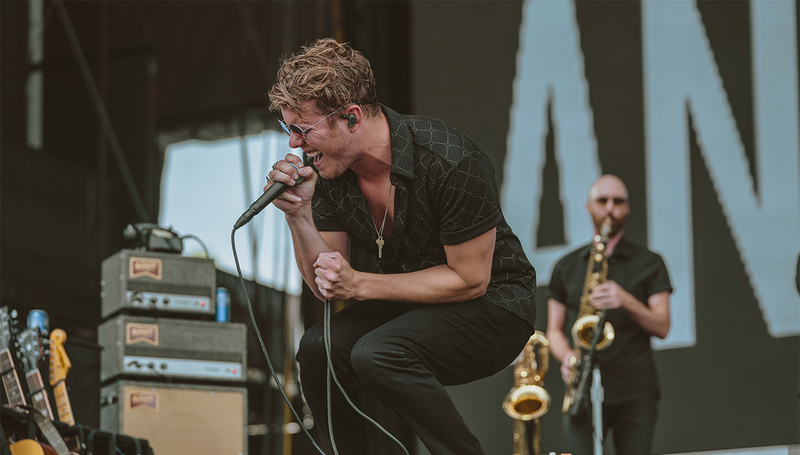 The band performed music from their debut, self-titled album, including “Smile” and “Is It Any Wonder,” while the crowd danced, swayed, and sang-along, temporarily forgetting about the discomfort of extreme heat. Any band that can do that, deserves to be on everyone’s “Best of Lollapalooza” list. R.LUM.R: Singer and guitarist, R.LUM.R, performed a mid-day set on the BMI stage tucked away in the shade, overlooking Lake Michigan. The alt-R&B artist impressed with his vocals – performing with a two-piece band before winding down his set with acoustic renditions of “Be Honest” and “Thinkin’ ‘Bout You.” The acoustic renditions allowed him to showcase his truly remarkable voice, which at-times was eclipsed by the band. Hopefully, R.LUM.R will grace the stages of Lollapalooza again in the future. Gucci Mane: Beginning his set on the Bud Light stage with the customary DJ warm-up, Gucci Mane walked onto the stage and was greeted with boisterous cheers, before performing “Make the Trap Say Aye” and “Both.” Every beat drop that transitioned into another song caused the crowd to grow louder. 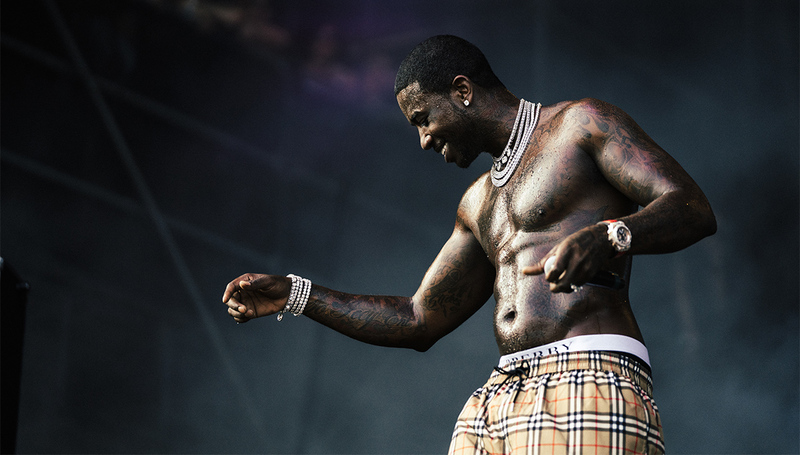 The energy from the audience and the stage was infectious as Gucci blazed through some of his most popular songs: “Wasted,” “Lemonade,” and “I Might Be,” to name a few. Although he wasn’t a headliner, Gucci Mane drew a crowd that was comparable to one. Considering that the rapper doesn’t tour often, the massive crowd was to be expected and he did not disappoint the fans. 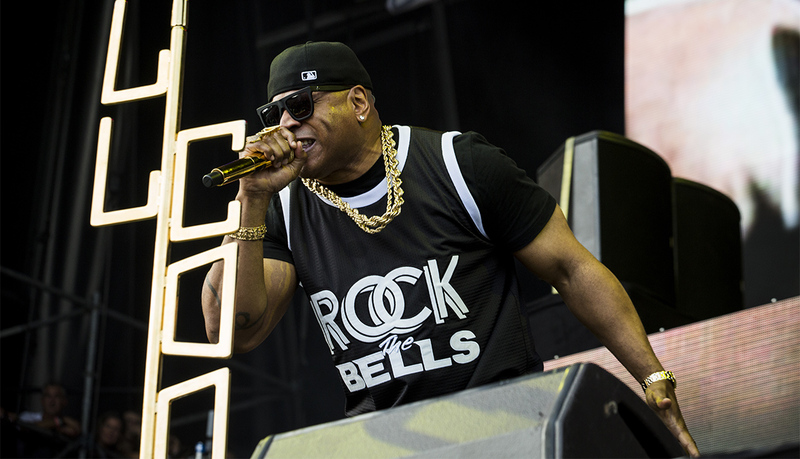 LL Cool J: By no means is LL Cool J small-time; he is the exact opposite, but he makes this “Best of Lollapalooza” list for simply being LL Cool J and bringing the heat on an already sweltering day. Lollapalooza is known for booking hip hop acts, but it’s not known for its appreciation of classic hip hop. It appears that festival organizers figured out that there is an audience that longs for the MCs of hip hop’s Golden Era. LL Cool J is a legend and his Saturday evening performance at the Bud Light stage reminded attendees why he is everyone’s favorite uncle. Complete with breakdancing backup dancers, clad in the colorful threads that everyone loved in the 80s, and backed by the incredible DJ Z-Trip, Uncle LL brought true hip hop culture to Lollapalooza 2018. With a music catalogue as impressive as his, it’s not easy fitting it all into an hour-long set, but he did it, flawlessly. You name it, Uncle LL performed it: “I’m Bad,” “Jack the Ripper,” “Hey Love,” “Boomin’ System,” “Rock the Bells,” and the list goes on. At 50 years old, and having been in this industry for over three decades, LL Cool J has nothing to prove; yet his performance was better than most artists [who do have something to prove] do on their best day. His interaction with the crowd was organic, and he looked like he was genuinely enjoying performing for the people. LL Cool J hasn’t released new music in five years, but still gave one of the best performances in Lollapalooza’s history. 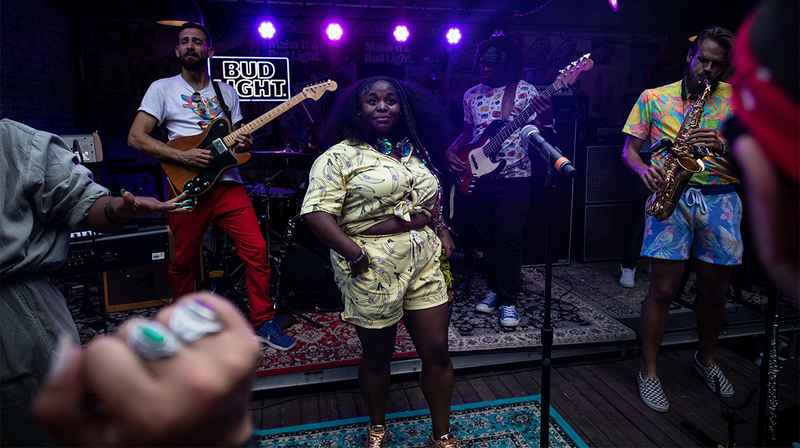 Bud Light Dive Bar Sessions: For the duration of Lollapalooza, the Bud Light Dive Bar Sessions provided an opportunity for festival attendees to experience up-and-coming artists in a more intimate (and shaded) setting. Throughout the weekend, fans were able to experience and engage with Tank & the Bangas, SUR, The Aces, and morgxn, to name a few, during their 30-minute performances. At the conclusion of each Dive Bar Session, fans had the opportunity to meet the artists and listen to the DJ spin classic hip hop and R&B. Designed to look like a dive bar [a very clean and well-lit dive bar], the open-air space, complete with patio-style seating, a bar and a roof deck, was a satisfying retreat from the Lollapalooza chaos. Photo credits: LL Cool J by Candice Lawlar; Anderson East by Roger Ho; Gucci Mane by Scott Witt; Lollapalooza crowds by Greg Noire; Bud Light Dive Bar Sessions by Draftline.